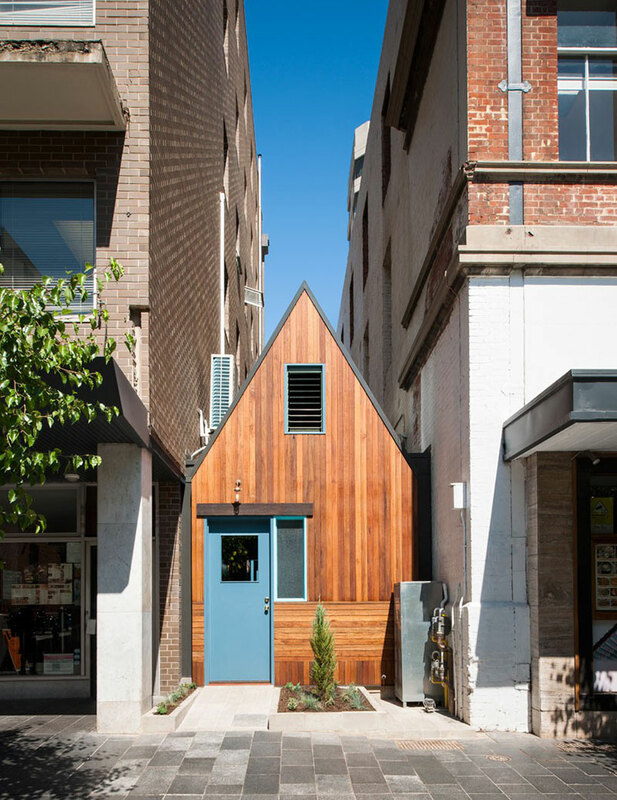 The Pink Moon Saloon is located in a service alley between two existing buildings in Adelaide, South Australia by Sans-Arc Studio. 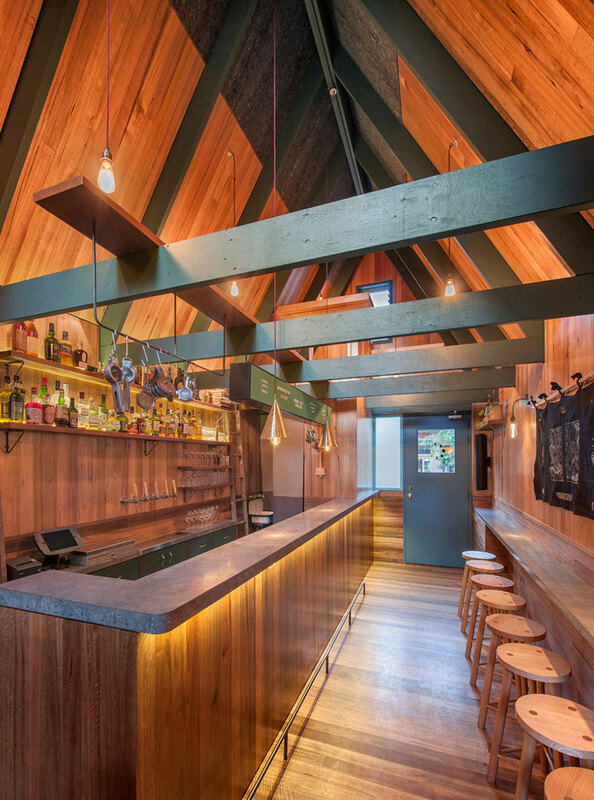 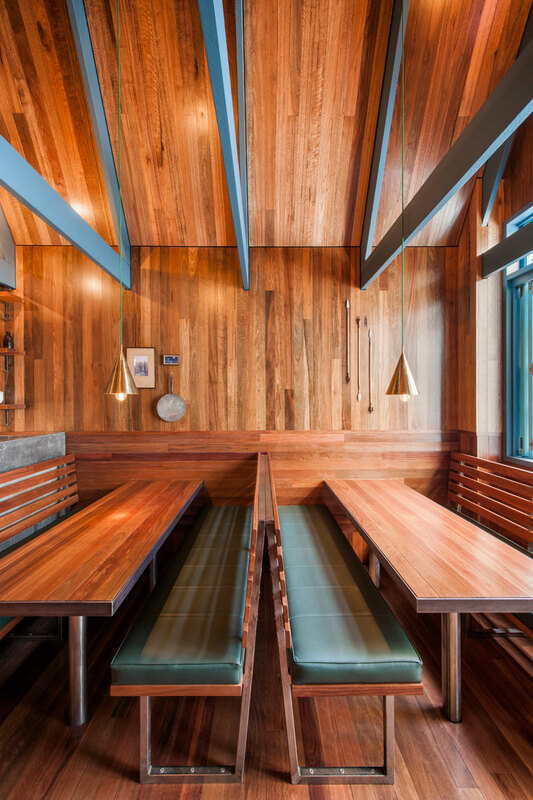 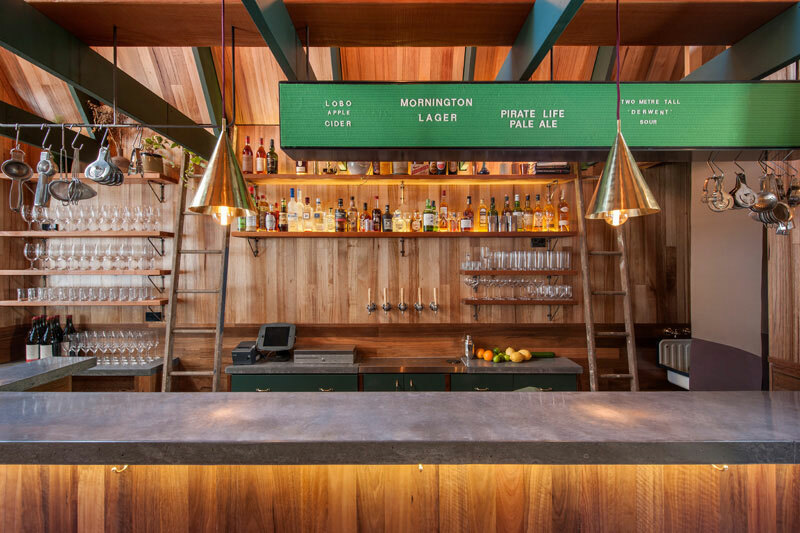 The owners of the bar wanted a "cabin in the woods" approach to the design and spoke about trying to imbue the feeling of going camping into the place. 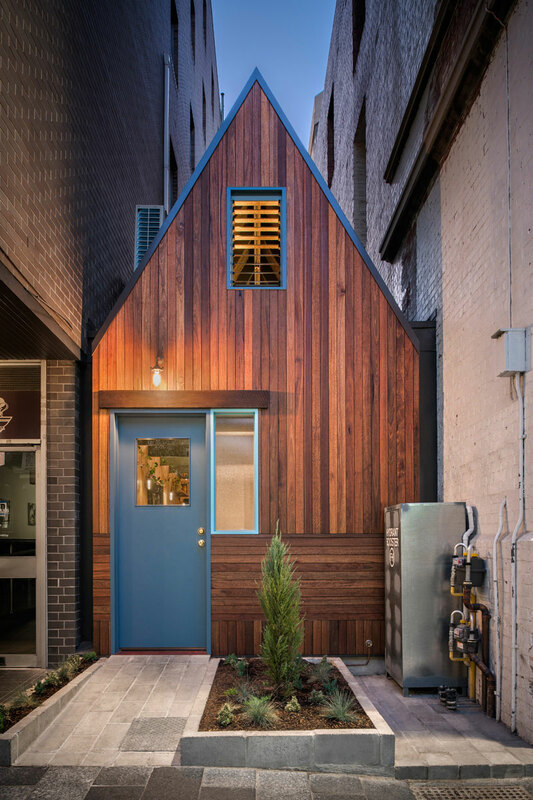 Sans-Arc Studio designer Matiya Marovich drew inspiration from Tadao Ando's Azuma House and borrowed the idea of its central courtyard, which lets the sun bathe the covered front and rear sections. 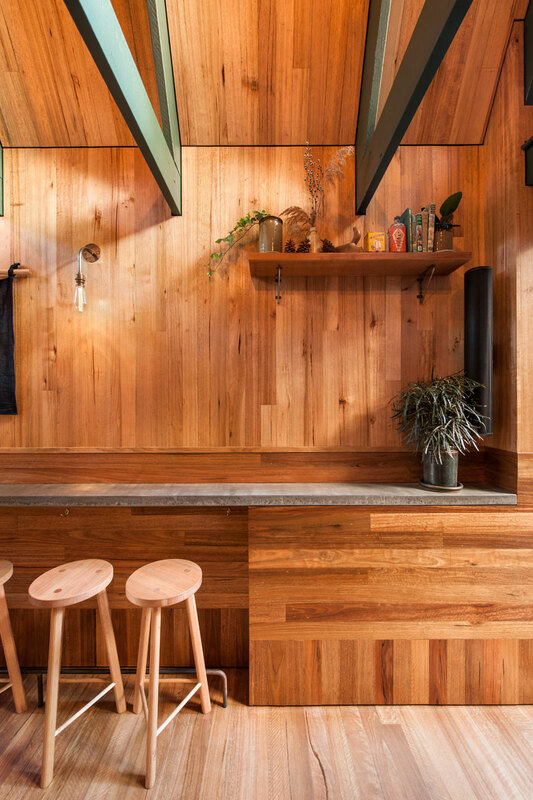 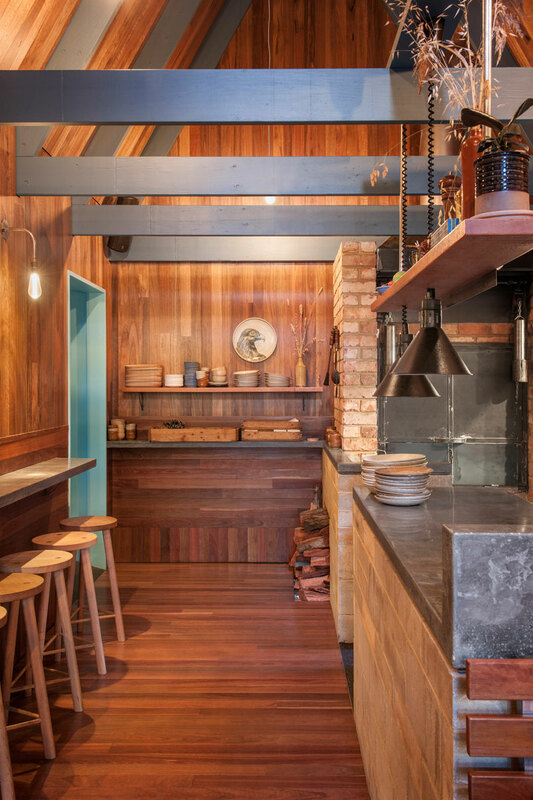 He divided the space using two log cabin structures—one at the front that houses the bar and one at the back incorporating the kitchen and dining area with a courtyard in between. 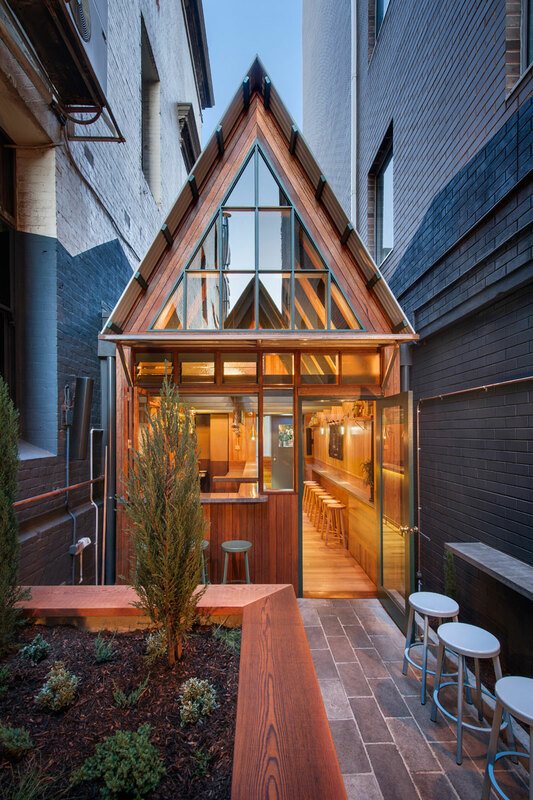 I kept going back to those Japanese references – it’s a tiny narrow space, so you break it up in a linear fashion, put a courtyard in the middle for light and that creates different zones in the space too… a journey and experience as you move through. 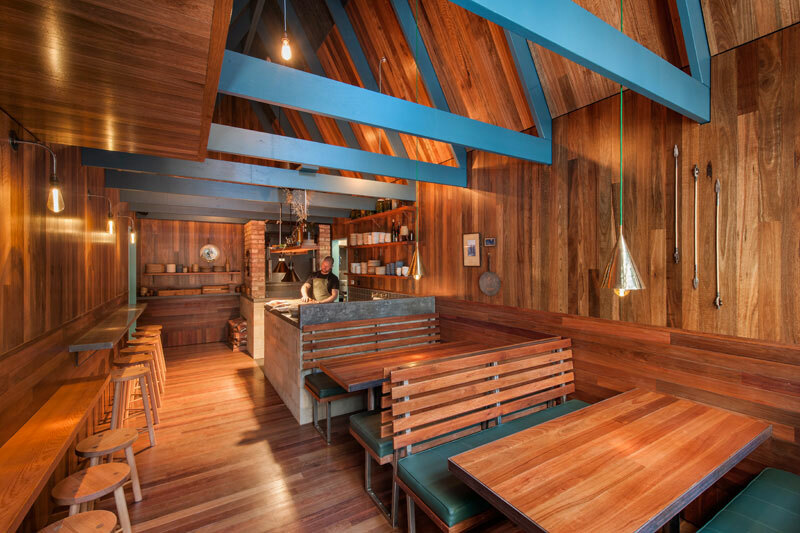 It was organic to get to that point, there were a lot of different ideas before that. 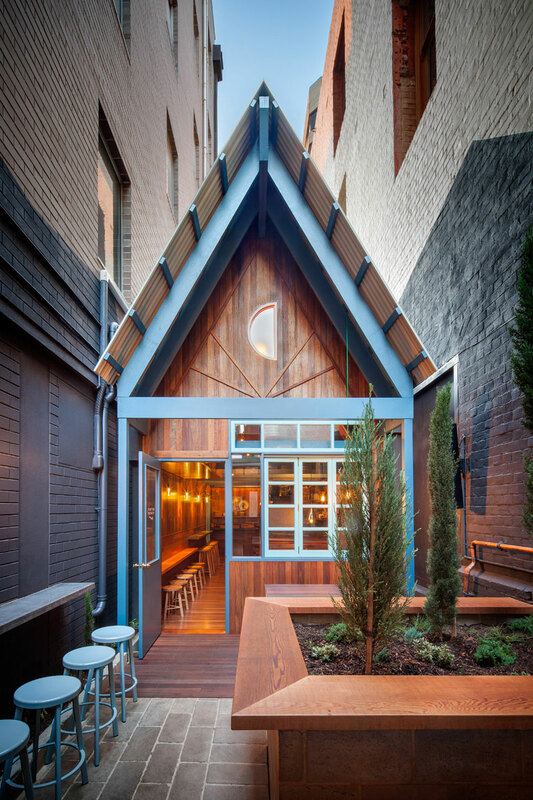 The Pink Moon Saloon is located in a service alley between two existing buildings in Adelaide, South Australia by Sans-Arc Studio.